This 1 story hidden gem home in a GREAT neighborhood, features 3 ample sized bedrooms. The master suite and HUGE closet are amazing! Lots of storage throughout. Charm exudes throughout this well maintained home. Nestled on over an acre of amazing wooded land. 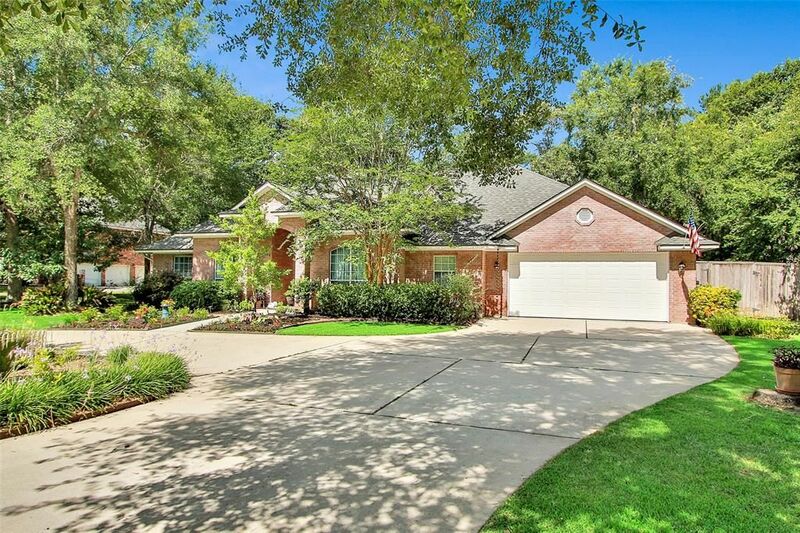 This home was custom built with an enormous amount of care for quality. The backyard patio and deck are delightful and peaceful and has a sprinkler system (front & back). Two metal outbuildings (18 x 20 & 10 x 16) perfect for workshop areas. Plenty of room for RV in back. The home has been freshly painted inside and even new granite counters in the kitchen and laundry too!